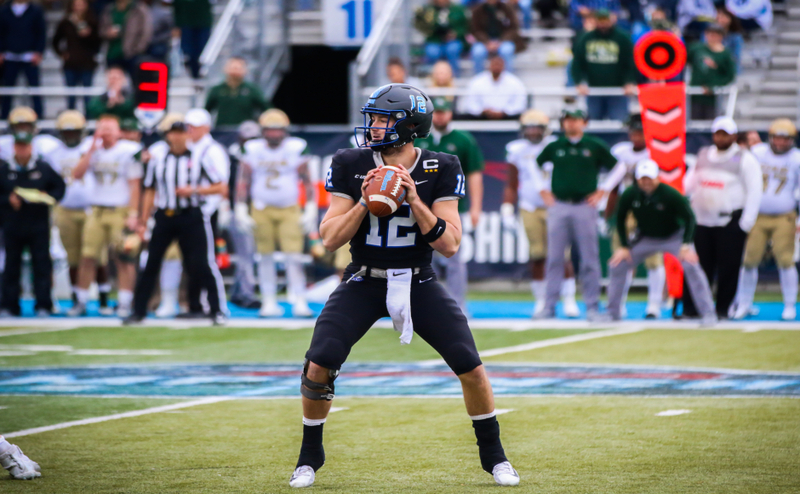 It was a rainy and murky day as Middle Tennessee (5-5, 4-2 C-USA) traveled to Boca Raton, Florida, to take on the Florida Atlantic Owls (2-8, 2-5 C-USA ) in a pivotal Conference USA showdown. 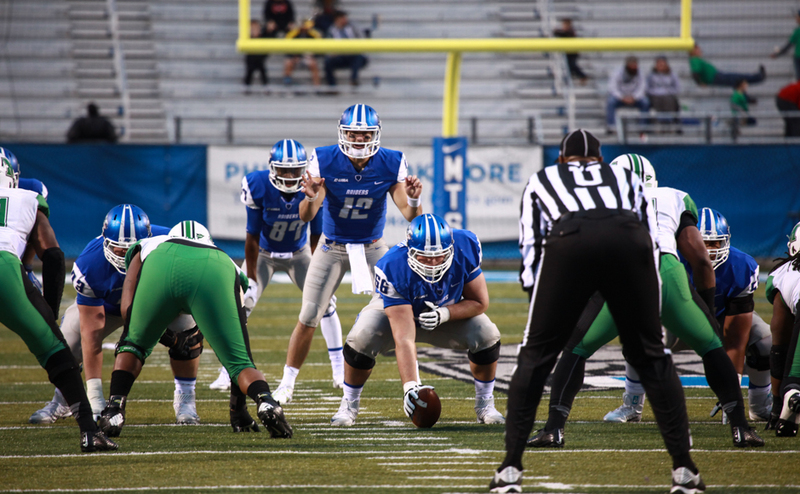 Middle Tennessee pinned its first road win of the season with a 24-17 thriller behind a huge day from quarterback Brent Stockstill. The rain in the first half didn’t do much to slow down both teams as they combined for 31 points. The Owls got on the board first with a quick drive ending with a touchdown. The Blue Raiders struck right back with 10 straight points including a beautiful 69-yard touchdown from the dynamic duo of Brent Stockstill and Richie James. Stockstill eclipsed 3,000 yards passing in the game, the only 3,000 yard passer in school history. Stockstill finished Saturday’s game with 301 passing yards, his sixth 300-yard game of the season, throwing for two touchdowns in the win. The redshirt freshman also added one on the ground. The two teams then traded touchdown scores to send the game into halftime with the Blue Raiders up 17-14. Richie James continued his big day in the second half with another huge catch. He found space behind the secondary on a great post route for a 62-yard score. The turning point of the game came at the eleven minute mark in the fourth quarter when a long touchdown by a Florida Atlantic flea flicker was waived off by a taunting penalty. 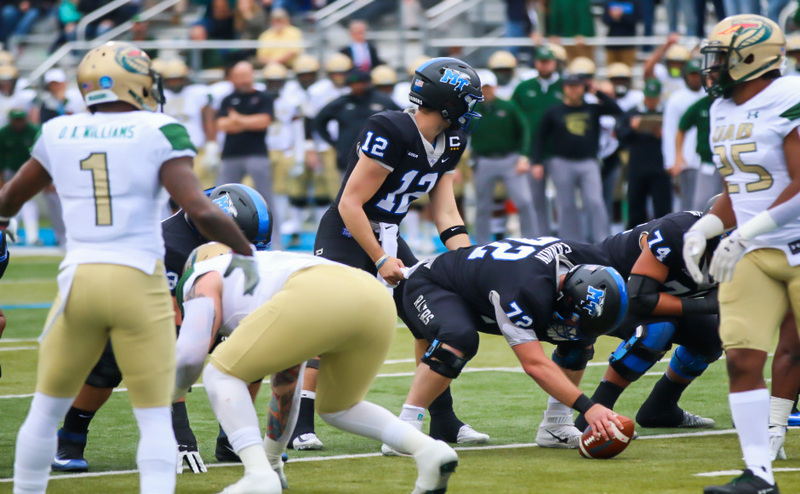 The ball was spotted inside the 20 yard line and the Blue Raiders held strong, forcing a turnover, despite being called for a roughing the passer penalty. Middle Tennessee went on to grab its eighth straight win over Florida Atlantic. Richie James also shined in this game, finishing with 9 catches for 198 yards and two touchdowns. With this win, the Blue Raiders will need to win just one of the next two games to become bowl eligible. They will face the North Texas Mean Green next week at home. Middle Tennessee will look to avenge last years loss to the Mean Green, a 34-7 thrashing loss in Denton. 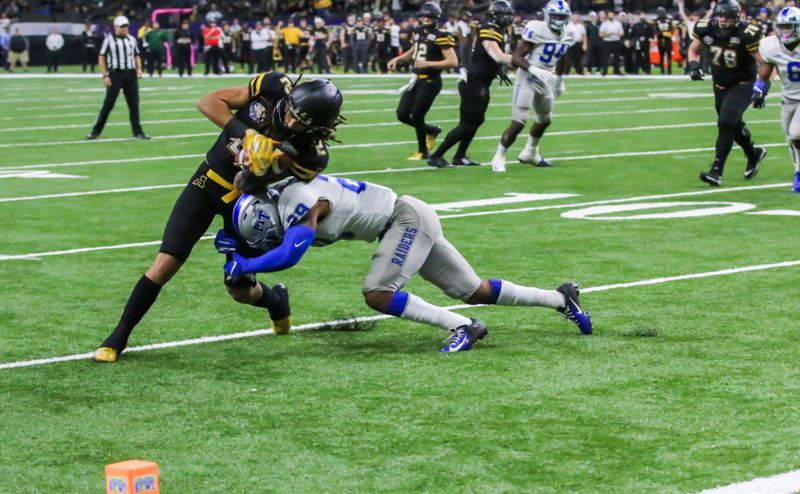 Next Saturday’s game is scheduled to kick off at 11 a.m.
To contact Interim Sports Editor Connor Ulrey, email sportseditor@mtsusidelines.com.